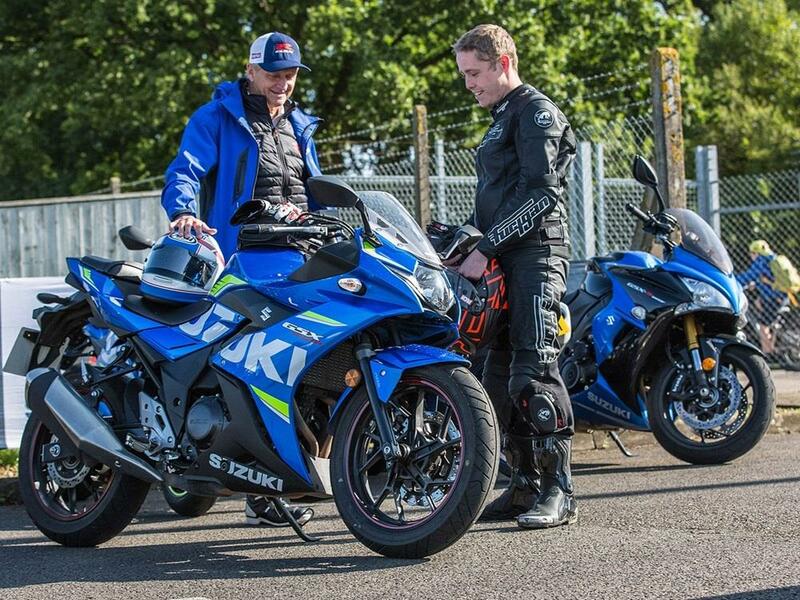 Just under two weeks ago, when the sun was still shining and the summer was here, I embarked on a trip to Silverstone for the British round of the MotoGP World Championship aboard my Suzuki GSX250R long-termer. Reporting on the action, part of my weekend included a morning blast with 1993 500cc Grand Prix World Champion Kevin Schwantz (not a bad start to the day), who was leading a ride out from the Super Sausage Café, in Towcester, to the track, on the Friday before race day. Kevin was riding Suzuki’s new flag-ship GSX-R1000R and I was keen to see how the two bikes stacked up when put next to each other. You may scoff at the idea of such a comparison, but stylistically the bikes are very similar. 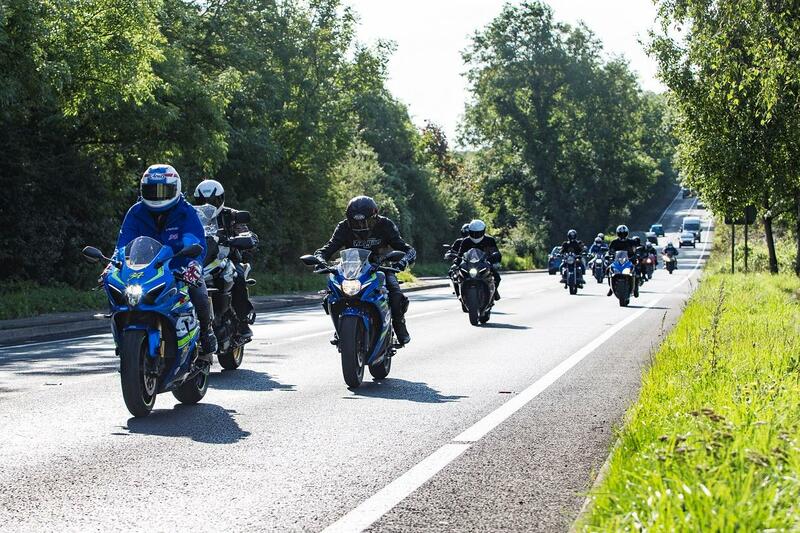 In order to get youngsters interested in the 250, the bike is loosely based on the GSX-R1000 L7 and from a distance you might be hard-pressed to tell them apart. Following Kevin closely (he really wasn’t trying), it became apparent that both bikes carry the same aggressive, swooping lines through their fairings, as well as a similarly thin tail unit. Up-front, both machines are given LED headlights and, though the 1000 gets more features, the retro digital dashes are similar too. This is all wrapped up in matching fairings, which give both bikes an exciting aggressive look. It’s this similarity that is often the downfall of the GSX during my daily riding though. Following cars, to many it looks far beefier and quicker than its parallel twin 250 lump can provide and so many drivers will do the age-old thing of sitting in the verge to let you past, thinking you’re on a litre-bike. Unfortunately, the gaps they leave are often far too small for the 250 to pass through safely, meaning I am forced to sit behind them for miles at a time, as they trim back the grass at the roadside with their bumpers.